to guide educators and heads inside and outside the institution. 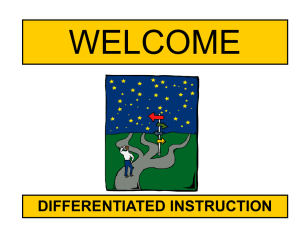 and instructional time for differentiation. of assistance provided by family members (Tomlinson, 1999). the right way to use it. learning while other teachers focus on in-depth comprehension. lead to a high anxiety level in students. light on the reality and bring amendments in order to avoid issues. which paced towards learning needs again (Chandler, n.d.). to meet the needs of diverse learners. planning and instructional time available for instruction. caters to all eight intelligences of students. however, they take different routes. the problems and solutions to deal with them (Gurgenidze, 2012). 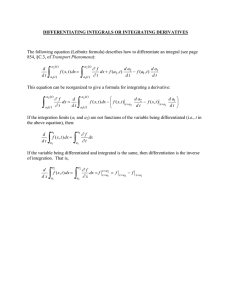 form in every activity (Valiande, Kyriakides, & Koutselini, 2011). make different grouping of students in the learning environment. 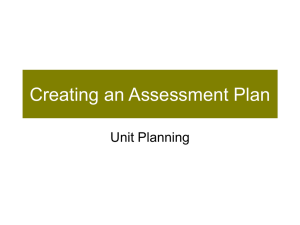 teachers with time and resources to conduct needs assessment of students. students in order to enhance their level of learning. discussion among all stakeholders (Shah, 2008). 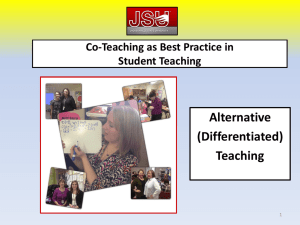 crucial hindrances faced by schools while applying differentiation. 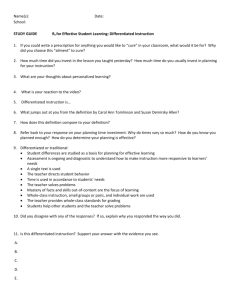 plan with differentiated activities and furnish the lecture. the provocations they encounter while differentiation. receive a vast amount of information (Malik & Janjua, 2011). 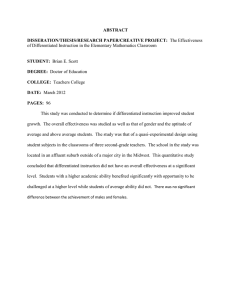 Quantitative method was chosen to extract data for this study. the exact meaning, and accurate and organized analysis of beliefs. how much professionally groomed they are (Torff, 2011). likely, whereas 5 indicated very likely. was used because it can calculate and analyze large amount of data. the significance level chosen was 0.05 for doing statistical test. feelings about implementing differentiated instruction. 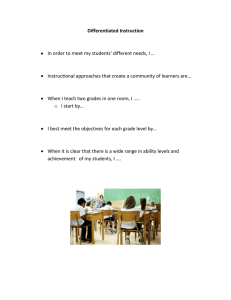 instructions to meet the needs of diverse learners. online Google form which is easy to disseminate and collect responses. background; however, there is an implementation gap. 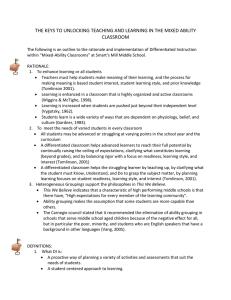 schools and they showed willingness to use them in their classrooms. and have been given training to use the strategies to teach the content. overburdened due to workload in school. eager to use them further in their context. the same interests, readiness level, learning needs and background. success in their planners so that successful strategies can be shared. could provide more teaching and planning time to teachers. and render all possible support in this regard. that teachers extrinsically and intrinsically work for its success. participants make joint effort and become change agents. accomodating students’ learning styles in science classes. Electronic Journal of Science Education, 6(2), 1-41.
against women- A practical guide for researchers and activists. Washington DC: World Health Organisation and PATH. social cognitive theory. NJ: Prentice Hall. Gardner, H. (1999). Intelligence reframed. NY: Basic Books. Brimijoin, K., Conover, L. A., & Reynolds, T. (2003). overview of individual differences in second language learning. intelligences. Educational Researcher, 18(8), 4-10.
classes. GESJ: Education Science and Psychology, 1(20), 5663.
on Accessing the General Curriculum. Human Social science Linguistics & Education, 12(10), 46-54.
strategies: Creating a balance. Language in India, 11, 268-278. Torff, B. (2011). Teacher beliefs shape learning for all students. teaching. Journal of Curriculum Studies, 18, 197-206.
study. 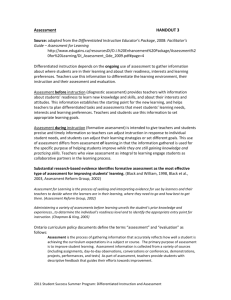 Educational Research International, 2(2), 146-154.
the instruction for young children and children with disabilities. Early Childhood Education Journal, 32(4), 255-259. Va l i a n d e , A . , K y r i a k i d e s , L . , & K o u t s e l i n i , M . ( 2 0 11 ) . institutions. The Dialogue, 3(1), 123-129. Subban, P. (2006). 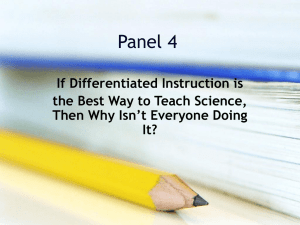 Differentiated instruction: A research basis. 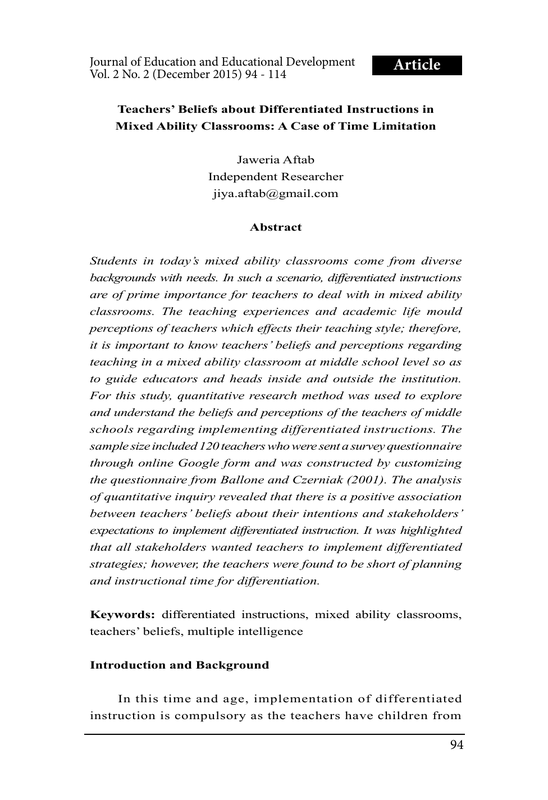 International Education Journal, 7(7), 935-947.